COSETTE.com.au is an exclusive online shopping experience where members discover current High End designer collections at the lowest price you can find. Cosette secures its merchandise from various trade sources in different locations and territories. As we bring these merchandise to you via an online platform, we incur lower overheads and are able to share these savings with you – our customer. The World's First and Only On-Demand Authentication Solution of luxury products. Once your order is received by us, your item gets thoroughly quality checked, lovingly packed and dispatched straight to you within 24 hours maximum! Using Parallel Importing, our buyers are dedicated to bringing you the highest quality pieces from Europe. All our products are New and Unused, except for pre-loved ones (Marketplace items). There is no joining fee to become a member. Begin shopping immediately! You can join by simply signing up on the site. Invite your friends and earn dollars on your next purchase when they place their first order. Follow us on Twitter, Instagram, Facebook to get ahead of the upcoming, never to be repeated opportunities. Our newsletters give the member full access to our 'behind the scenes' photo-shoots abroad along with an overview of upcoming designers that we'll be featuring. 3. Forgotten your login details? No worries! Select "Forgot Password" link from our login page and follow the instructions. We'll soon have you shopping again! 4. How are products chosen? We have a team of talented Paris based stylists/buyers that source from all over continental Europe.Through strategic partner relationships, we provide you with authentic products without question. Our guarantee is that every item sold on cosette.com.au is the designer it promises to be. 5. How often are new styles coming? Cosette offers new styles everyday – including weekends! Email announcements are sent to keep members up-to-date on current and upcoming new products. 6. How long does products last on the site? All merchandise is available on a limited quantities and last until it sells out. We do not refresh products nor change prices throughout the time being available.Items are sold on a first come, first serve basis- so be sure to log on early not to miss out! 7. How do I know if what I buy will fit me? All our stock includes details that are as accurate as possible in an item's description. We'll provide sizing charts that we design specifically for our members. When an item arrives, if your unhappy with the size or fit of the product, please refer to our "Return Policy". New products get uploaded at 7am Sydney E.S.T and styles sell out quickly. Shopping through cosette.com.au is time sensitive and all our merchandise is sold on a first come, first served basis. 60% of new stock is usually sold in the first 24 hours so getting in early is the key. We can still ordered sold our products although are no longer reserved exclusively for you. Other customers might be waiting for your precious item! Placing a Cosette order is easy! Simply visit Cosette.com.au, select the product you would like to purchase and add it to your shopping cart. Once you have added the item to your cart, you have a limited time to purchase before it is released from your cart and added back to the inventory of that sale, so be quick! Once the items you'd like to purchase are in your cart and you are ready to pay for them, use the checkout button in the top right hand corner to review your cart. Here you will need to enter your billing and shipping addresses, will have the option to use any Cosette credit or enter a promo code, and choose your method of payment. Then it's simply a matter of confirming your payment details and you're done! Cosette.com.au orders that are successful will receive order confirmation via email. You can also view your order and it's status via the 'My Account'. If you are unsure as to the status of your order, please contact our friendly customer service team via the contact centre in your account or at support@cosette.com.au and they will assist you further. 3. How do I apply my account credits or promos? Cosette.com.au credits are visible in the vouchers section of your Cosette account. If you have credit vouchers available you can apply them to your order by adding them under the vouchers section at the checkout. If the total amount of the purchase exceeds the amount of your cosette.com.au credit vouchers, you must pay the balance from your credit card. If your purchase is less than your amount of cosette.com.au credits, any unspent credits will remain in your Cosette account. Promo codes can simply be typed into the Promo section. They will automatically deduct before you proceed to payment. Your Cosette.com.au credits can be used for purchase of merchandise online however are not valid for Netdeals or our live Pop-Up Sales. All vouchers have a twelve month expiry date (from the time of issue) and cannot be re-issued once they have expired. 4. Can I cancel my order or an item from my order? You are more than welcome to return all or part of your order as per our Terms and Conditions once you have received it. Please contact our customer service team once you have received your order, and we will go through the returns process with you. 5. Can I add to my order once it has been placed? Unfortunately we are unable to add to an order once it has been placed. We accept Mastercard, Visa and PayPal. Payment methods require an Australian, New Zealand or Singapore billing address. 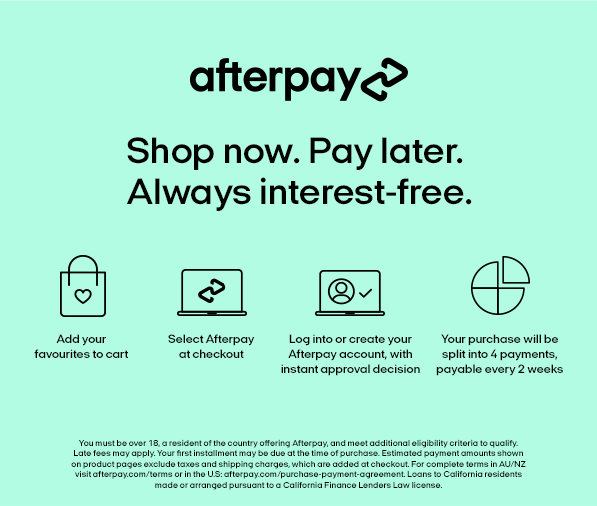 Cosette.com.au accepts payments for goods through WESTPAC EGATE offering a complete payment gateway service, honouring credit card processing via the secure online server. All information including credit card details are encrypted through SSL 128 byte encryption technology. 3. Will I pay any customs fees or taxes? All of our orders are sent to our valued customers directly from our Australian headquarters. Cosette is not responsible for any customs fees or taxes applicable to orders delivered outside Australia. 4. Can I get a new invoice for tax or business purposes? Of course! Your order invoices are available to view and print at any time in the 'Orders' section of your Cosette account. If you need different information on your invoice for business purposes, please let our customer service team know and they will issue a new invoice for you. Delivery times should not exceed 3 business days. 3 Hour Sydney Metro Delivery only available with PayPal purchases. 2. Can my order be sent Express Post? Yes we can express post your purchase by paying an extra fees at check out. 3. How do I know when my item has been shipped? Once your order has been dispatched you will receive an automated email from our Australia Post system with your tracking ID. Once Australia Post receives your parcel, your tracking information may take up to 24hrs to update with the current location. If after 24hrs your tracking info fails to update, please let us know so that we can look into it's whereabouts for you. 4. Is my order insured? Yes. Orders in transit from Cosette.com.au to the delivery address are insured against accidental damage and theft at no cost to the member. 5. What are Cosette.com.au shipping rates? We ship orders through Australia post. The majority of our shipments are free for orders delivered in Australia and from $40 to countries available for International delivery. 6. Does Cosette ship internationally? Apart from delivering Australia-wide, we also ship to the following International destinations: Brunei, Canada, China, Hong Kong, Indonesia, Japan, Malaysia, New Zealand, Singapore, U.S and United Arab Emirates. We are able to cancel any order as long as we receive your cancellation request before the end of the day you placed your order within business hour 9am to 5pm. If you have incorrectly ordered an item or wish to cancel or change an order before the sale closes, please contact our Customer Service team as soon as possible. We do not normally issue refunds, except where we have a legal obligation to do so. However, if you have changed your mind or ordered the wrong size, we will accept return of most products purchased from Cosette up to 7 days after delivery for a Cosette credit or a full refund, subject to the conditions and exceptions below (a "change of mind return"). If the item has been delivered, the delivery fee will not be credited or refunded. Please note that if we do not hold excess stock of the items you have purchased we cannot swap your item for a different product or size. • ensure that the product is returned in an 'as new' condition, including packaging. All products must be in their original packaging and include any accessories, documentation, tags or other items that were included with the product. If a returned product is returned not in an 'as new' condition, or is not accompanied by an RA, the return will be rejected and the product returned to you. Each products are photographs before being dispatch to the customer. We cannot accept change of mind returns for high end luxury handbags once they have been delivered. Of course, Cosette will accept returns of these items if they are faulty, do not remove the return tag before making sure your item is in a perfect condition. If you have received an item different to the one you ordered (e.g., different item, size or colour), please contact our Customer Service team (details below) who will work with you to resolve the problem as quickly as possible. If you have received a defective product, please contact our customer service team (details below), so they can discuss the problem with you and help resolve it as soon as possible. We may require the product to be returned or photographs of the fault to be provided so we can assess the product. We will endeavour to assess faults and, where appropriate, provide a remedy as soon as possible. 1. I still need help, how do I get in touch? We are here Monday – Friday 9am – 5pm and answer all queries as quickly as possible during business hours.